Growing up in a remote village in Central Java, Ana developed a deep connection with nature – exploring her environment through swimming cycling and climbing. 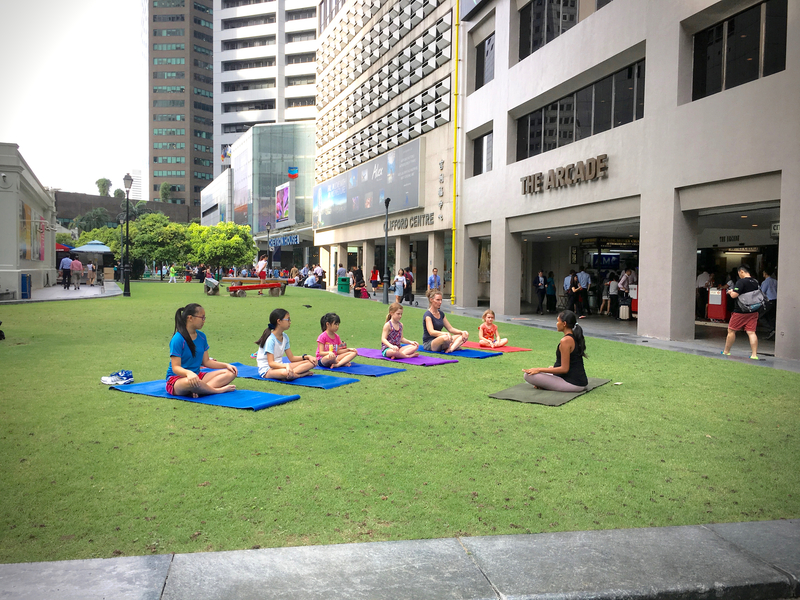 After moving to Singapore, she discovered Yoga which helped her develop her flexibility and strength giving better mobility and purpose to her movement. She also found the breathing techniques and meditation helped bring her calmness and ease. Moving to Shanghai in 2014 gave her the opportunity to practice yoga daily, learning everything from traditional yoga to acro-yoga. in 2015 she flew to Mumbai, India to complete her Teacher Training Course at the Yoga Vidya Gurukul Ashram with High Distinction. This was a one month intensive program covering everything from diet, anatomy, history of yoga and the benefits. This provided a deeper insight, and understanding that yoga is a practice that helps one become more attuned to the mind body spirit, allowing the movement to come from within, and feeling release with each and every movement. Ana returned to the Ashram later that year 7.5 months pregnant to complete a pre and post natal yoga teaching trading. This provided additional insight for exercise during pregnancy, and enabled Ana to continue doing what most unpregant women could – walking at least 5km a day with daily office work, as well as regular running, yoga and acro-yoga up to the last month of pregnancy! Ana was able to give a natural child birth, with no epidural or drugs. She attributes yoga as the source of her strength, which has tremendously benefitted both herself and her family. With many years experience as a Nanny, as well as looking after her own family from the age of 12, after her parents were in an unfortunate accident, Ana connects easily with children with her warm, approachable, fun yet calm presence. Ana is looking forward to share the gift of Yoga with the growing Superfly Family! Help your kids learn to bring balance and harmony to their mind, body and spirit!